A New Jersey woman started a fundraising campaign for a homeless man who came to her aid when her car ran out of gas. 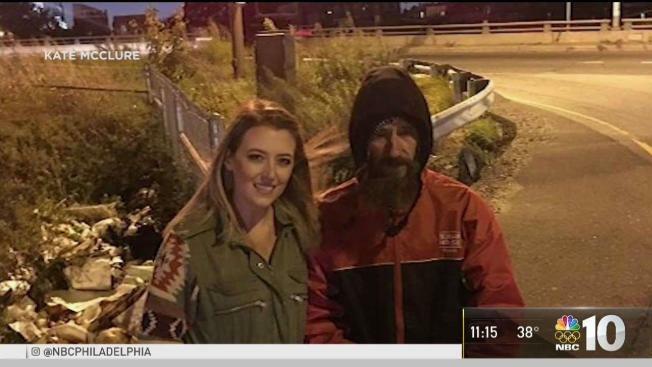 A New Jersey woman who was helped by a homeless man after she ran out of gas on an interstate in Philadelphia has raised more than $315,000 as of Friday afternoon for the good Samaritan. Kate McClure, 27, started the Gofundme.com campaign on Nov. 10 after she said she ran out of gas on I-95 and a homeless man, Johnny Bobbitt Jr., walked a few blocks and bought her some with his last $20. "He told me to get back in the car and lock the doors," McClure wrote in a GoFundMe campaign titled "Paying it Forward." "A few minutes later, he comes back with a red gas can." McClure said she didn't have any money to repay him at the time but returned to the road several times to give him cash, clothes and food. After a few visits, she started the fundraiser with the hopes of using the money toward housing and other expenses for the 34-year-old. McClure posted a video of Bobbitt's reaction as she and her boyfriend told him they reached just over $1,700. "That changes my life right there," he says in the footage. Donations continued to pour in, and the fundraiser has shattered its goal of raising $10,000 for Bobbitt, reaching more than $315,000 by Friday morning. 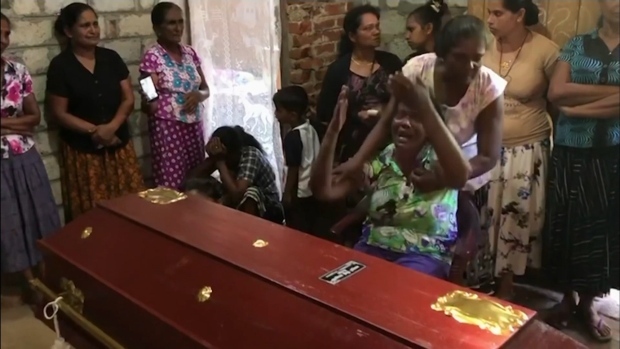 More than 11,000 people had given to the campaign. The campaign briefly stopped accepting donations Thursday after McClure wrote that Bobbitt "asked instead of donating to his campaign, to maybe take a second to search for a worthy cause that, for whatever reason, hasn't gotten the attention his has." "He is more than happy with the amount that has been raised so far, and didn’t want to seem like he is taking advantage," she wrote. But not long after, the page was back up after people asked to continue to donate. McClure said Bobbitt will decide "what organizations or private parties he decides to help" with the extra funds.